Entry level system. Super easy to use. Magnet-based record mounting. Works with most ultrasonic desktop cleaners. 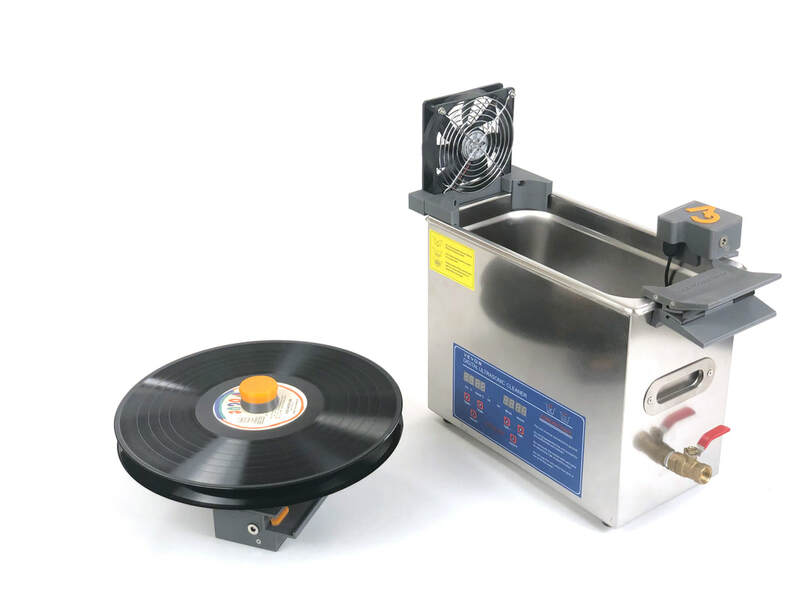 The EasyOne motor unit is designed for quick cleaning of one or two records, and can be installed directly on the rim of the cleaner. Works with most 6 liter standard ultrasonic cleaners. EasyOne can be adjusted for different rim widths. Super easy vertical record loading on table top. Double your throughput with the optional EasyOne second record adapter. ​Accelerate the drying process with the CleanerVinyl Dry fan. This reduces 'sleeve-to-sleeve' time to less than 45 min. Get superior cleaning results with the CleanerVinyl Micron 6 Liter cleaning fluid filtration system. 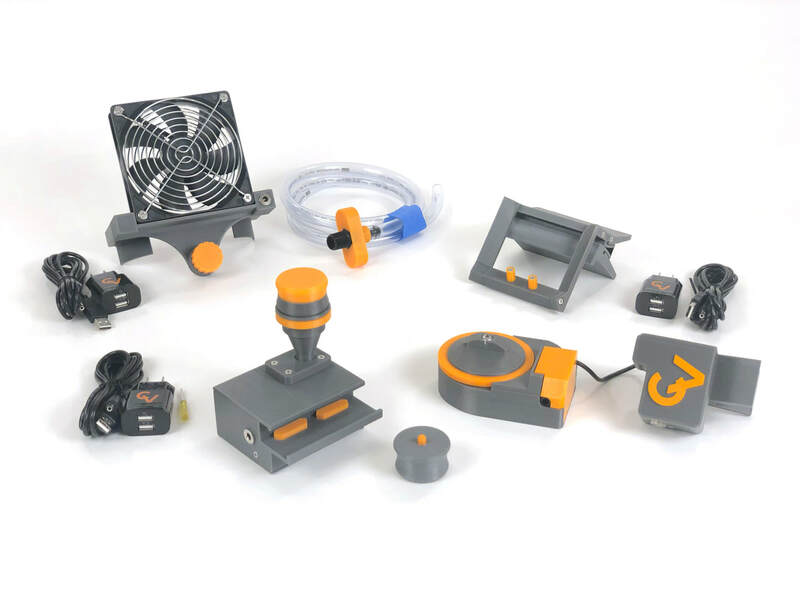 Circulates the cleaning fluid through a 1 micron particle filter during the cleaning process.